Sahha! From the boiling hot plate of the Mediterranean! So the product of choice is a repeat purchase however the first time I bought the Maybelline New York Eraser Eye Concealer the shade was too dark so passed it on to a friend. Since then I came across many concealers and tried some other brands. While browsing for sun protection on feelunique.com I came across the concealer again and I thought I would give it another go. You know how the cream you put on scones feels? Well this feels like that but you can put it on your face!! Seriously the texture is so soft and smooth, when you first apply it you immediately notice that it will give you a full cover without setting into your ever so fine microscopic under eye lines. I apply it with a fake beauty blender (I can’t order or find the original in Malta ) , within seconds you can see a perfectly smooth under eye area . 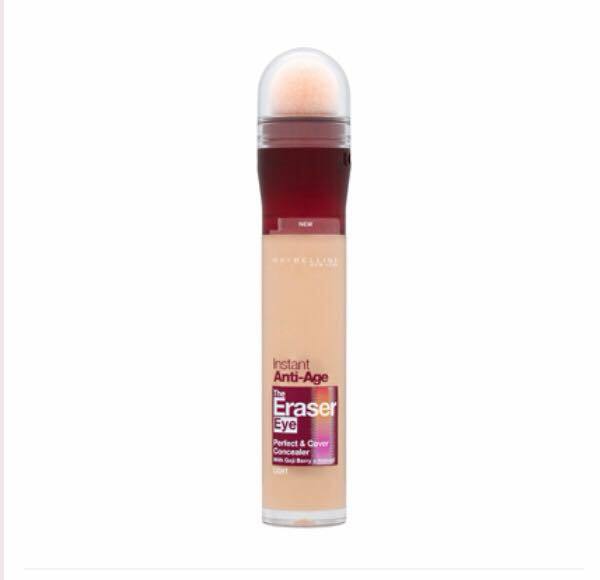 Honestly there isn’t much more to say; but the Maybelline New York Eraser Eye Concealer can be used by a younger age group to mature skin and it will give great results as I tried it on my mother. Price wise from feelunique.com it was €11.47 (Product link http://bit.ly/1EgEduV) and I believe I paid the same price the first time I bought it. Very well priced in comparison to my €30 Mac Long Wear which will always be a staple in my makeup however for daily use the Maybelline will be the concealer of choice. Hope you liked this review!